Why Jeff Brown? You probably don't know him but when you read this post you'll understand why I decided to feature his work. Lots of people think about leaving the mother ship and striking out on their own. Many never do, and spend their lives wondering what might have happened if they had. Some do, and fail. 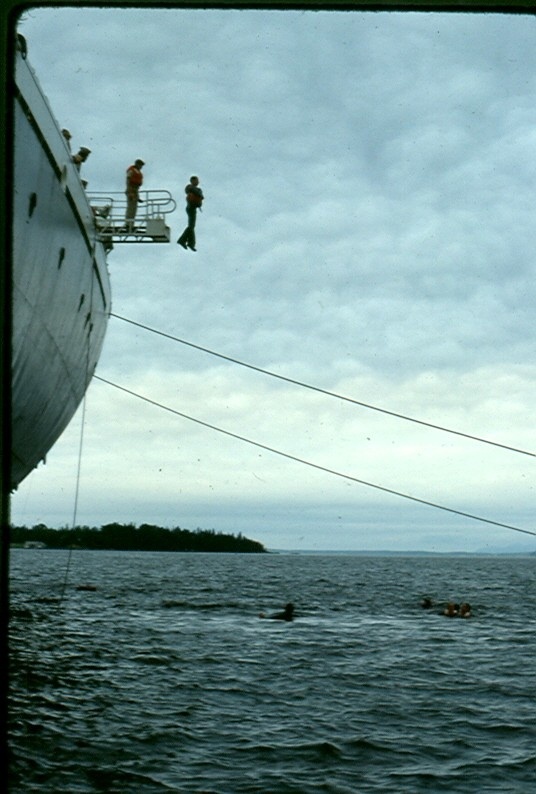 Others think jumping ship was the best thing they ever did. I'm in that group. What does it take? 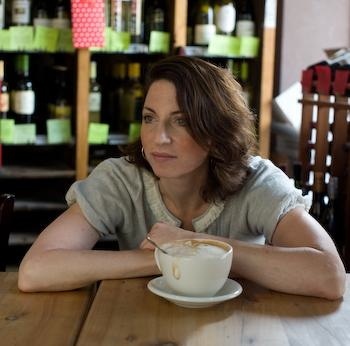 After three years of full-time freelancing - or, as I prefer to think of it, running my own business (with a profit margin putting all newspapers to shame) - I think there are three key issues: psychological, financial and professional. Resonate with you? Then read on here. This is thoughtful piece. When it comes to jumping ship or escaping from corporate America, you can tell he's lived it, breathed it, survived it and is now on to the thriving part of his life. Best wishes to Jeff for continued success! Considered the best little self-serve frozen yogurt ever, Tempe-Arizona based Yogurtini offers up to 16 rotating healthy and fat-free frozen yogurt flavors and over 65 toppings. 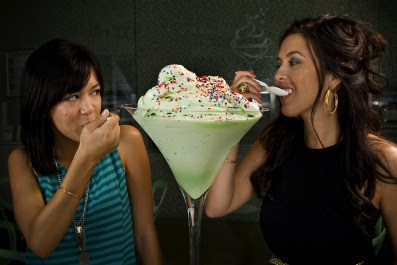 In 2007, Natasha and Chelsey Nelson were living in California and in the early stages of planning a self-serve frozen yogurt shop. But, then the phone rang and they learned their 56-year-old mother had just been diagnosed with a rare form of Parkinson's disease, a degenerative and terminal illness. "When it hit us, it hit hard, but we already had one foot in the business," said Natasha Nelson. "We knew we had a great idea and our mom was our biggest supporter, but could we all emotionally handle it?" The sisters moved back to Tempe, Ariz., to join their dad in taking care of their mother, and that's when they decided the answer was: "Yes." "But there were a lot of times we wanted to back out. We were even tossing a coin, at one point," Nelson said. Be inspired. Read more about their success here. A very special ladies bike shop opens in New York. Graphic designer Julie Hirschfeld had a simple idea for Adeline Adeline: "No spandex!" In other words, no Lycra bike shorts just because you are on two wheels! Adeline Adeline founder, Julie Hirschfeld started her career far away from bikes, first as a graphic designer for the television channel, VH1, and then as partner in the New York design firm, Stiletto NYC, where she worked on fashion branding and motion graphics projects with such diverse clients as New York Magazine, Conde Nast, MTV and Nike. 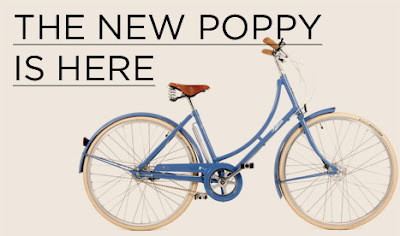 The store sells bikes (e.g., the Poppy shown above can be found in their Tribeca store) and other beautiful things such as polka-dot helmets and an oversize organic linen bag from Japan that crosses over the chest for easy riding. Where did the name come from? Why Ms. Hirschfeld's grandmothers, of course, who had the same name. Mosey on over at AdelineAdeline.com, 147 Reade Street (between Greenwich & Hudson Street), New York, NY, 10001, 212-227-1150. I opened my business in 1985 and then realized early on that to do a really good job running it, I needed a higher level of education (process is everything). So into about year two, I began an M.B.A. program at Lake Forest Graduate School of Management. What I remember most back then is not so much the course content or professors but the confidence and discipline I gained from the experience. After all, I was one of three women in a program of 30 students. What a ride it was but a good one indeed. If I had it to do all over again, I'd do it exactly the same. Fast forward to here and now. Forbes claims that an increasing number of women are heading to business school due to a weakened economy. According to the U.S. Department of Education, women received 44% of M.B.A.s in 2007, up from 39% a decade earlier, which translates to a 75% increase in the last 10 years. It's the flexibility of the degree that's appealing, says Deirdre Leopold, managing director of Harvard M.B.A. Admissions. "Women are using it not only for finance but also to work in nonprofits or open their own businesses." You can O.Y.O.B. 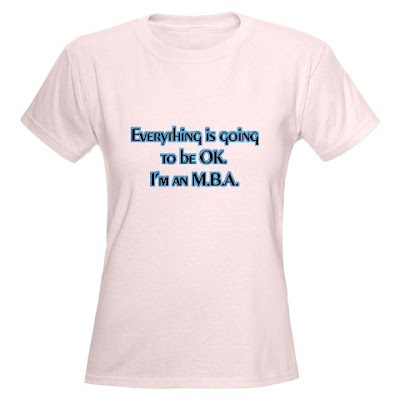 (open your own business) and then get an M.B.A. I'm living proof! Apparently, and according to a good number of people, give bad advice. All the more reason to create your own destiny. Follow your path. Go do it. 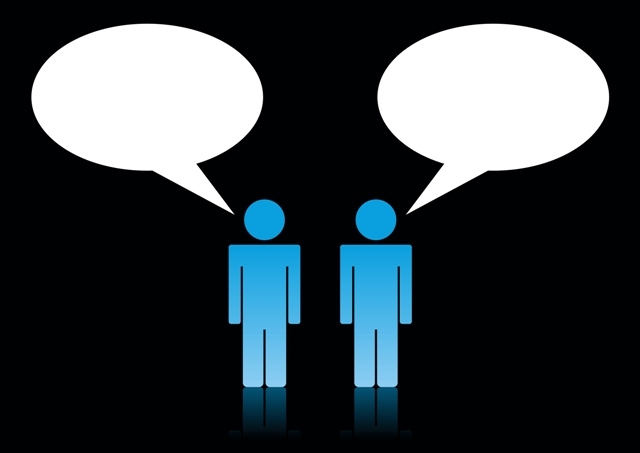 Through your website, are you serving your own interests or your customer's? 1. Keep content current, accurate and relevant. 2. Express yourself but don’t give your life story on your Web site. 3. Spruce up your Web site so it looks beautiful and works beautifully, too. 4. See that every Web site page has a unique keyword message. 5. Focus on the needs of your visitors first, even if it’s before meeting the needs of your own organization. 6. 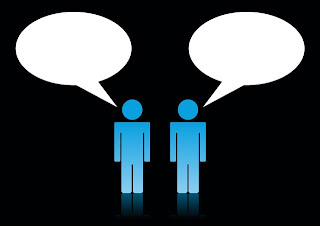 Care about your customer in a way that is evident on your site! 7. Start a blog to share knowledge and reflect your personality. 8. Cater to a global audience. 9. Make your “contact” area so BIG that it hits visitors on the head like a hammer on a nail. If you do look at the costs against your project income alone, you may have a couple of break even years at the beginning, but those are an investment for the profitable years to come. Over time, your income will grow, either through raises and promotions, you do consulting work and then take a conventional full time job with one of your clients, or make money through an entrepreneurial venture. Nice to see that someone thought of this idea in the course of a rigorous discussion about one woman's career revival and that it is a serious option for talented women who don't think it's worth returning to work as it was but rather as they want it to be for their new lifestyle. 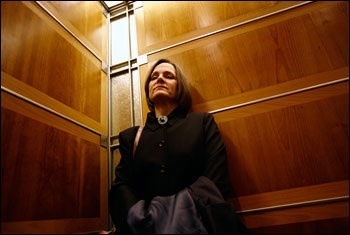 Why just look at the face of this woman, Amy Beckett, riding the elevator (pictured above) to a job interview. Does she look happy? I should say not. But it appears she ended up taking a job at Passman & Kaplan. Read the entire discussion related to the article here. Oooops, read the original article here. During these tough economic times, there are no better mentors than your peers. And one of my favorite global peer-to-peer advisory groups is the Women Presidents' Organization (full disclosure: I serve as the Chapter Chair for the WPO Chicago market). 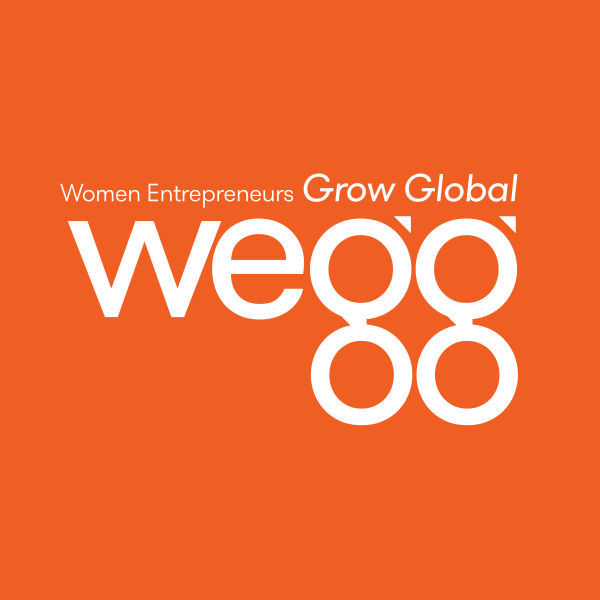 The WPO is the elite global peer advisory organization connecting top women entrepreneurs who own multi-million dollar companies. In monthly meetings across North America, Peru, the UK and South Africa, chapters composed of 20 accomplished women presidents, from diverse industries and backgrounds, invest their time and energy in themselves and their businesses to drive them to the next level. Local WPO chapters are coordinated by a professional facilitator and meet monthly to share business expertise and experience in a confidential and collaborative setting. It's an ideal way to grow your operation and develop solutions to your most fundamental business challenges. To inquire about membership and to find out if there is a chapter in your neighborhood, give WPO a ring at 212-688-4114 or visit their site at: www.womenpresidentsorg.com. Task for the day? Drive a business breakthrough.